Yes, that was touched on in Part 1, but it’s so important that it bears repeating. Waiting to make reservations usually isn’t a good idea if you have definitely decided to enjoy Mardi Gras in New Orleans. You might get lucky, but there is no guarantee. If you like to gamble and don’t want to reserve the minimum night stay required at most hotels, then you can wait and see if those hotels will relax their minimum night stay requirements if they have rooms that need to be filled. But there is no guarantee this will happen. You definitely don’t want to come to New Orleans looking for a room. There can be no ladders or other personal effects, like grills and coolers, closer than 6 feet to the curb. Parking on Napoleon and St. Charles will be prohibited on BOTH sides of the neutral ground, not just the parade side, starting 2 hours before the parade. There can be no private portable toilets in the neutral ground or other public property. Do not double-park or park in driveways, on neutral grounds (medians), in front of water hydrants, within 15 feet of curb corners, too far from the curb, or on the parade route within three hours of a parade. Your car will get towed away and/or you’ll receive a fine of Biblical proportions. Parade routes can look empty, but the crowd size can swell fast within an hour or two of the parade, making that front-row spot four or five people deep. 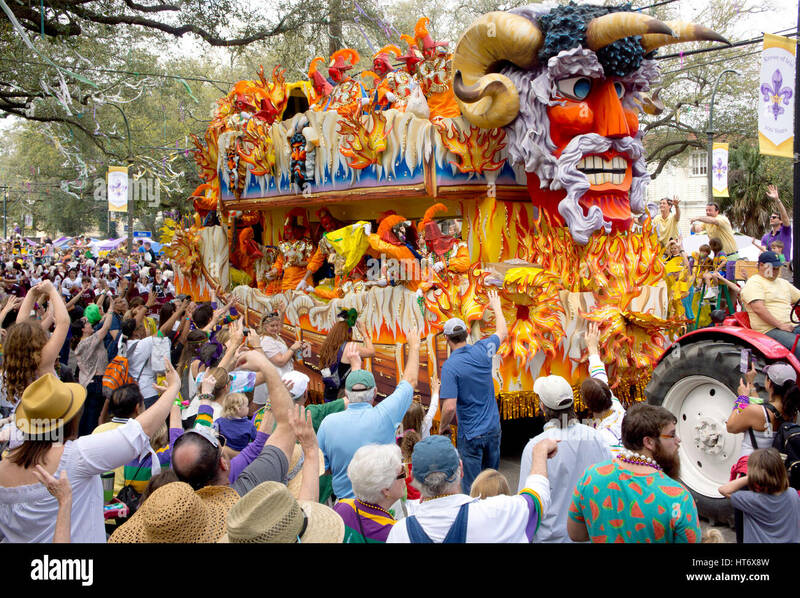 For the biggest parades rolling in the evenings on the weekend before Mardi Gras, plan to get there about four hours ahead of time to get yourself a great spot. For the Sunday night Bacchus Parade, some parade watchers will get a spot (drum roll here) at 6:00 a.m. That Sunday, several afternoon parades also roll by as the crowds swell for one of the biggest parades of the season – Bacchus. One person can save a spot until other family members show up, so they can make another area parade taking place in Mid-City. All of this for a parade scheduled to roll at 6:00 p.m.
Stay tuned for more in Part 3.